for all makes and models of cars, trucks, buses, vans, motorcycles, and RVs in our state-of-the art auto repair facility in Frederick, MD. Our highly trained technicians can complete major and minor repairs. 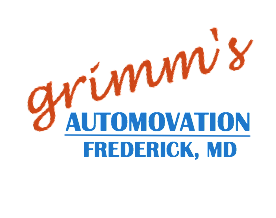 At Grimm’s, we understand the inconvenience of being without a vehicle, and offer pickup and delivery service. The satisfaction of our customers is our #1 priority! Stop in today or contact us to schedule repair or maintenance of your vehicle. 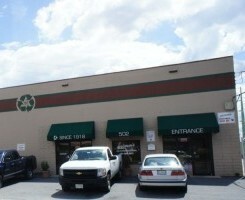 Our auto repair facility is conveniently located on N. East Street in Downtown Frederick, MD. We serve all of Frederick County, MD and surrounding areas including: Middletown, Thurmont, Brunswick, Urbana, Libertytown, New Market, Mt. Airy, Myersville, Adamstown, Buckeystown, and Urbana.